Inside a research lab in Room 317 of Pacific Hall a collage of photographs covers the side of an industrial cooler. Like the images on a refrigerator at home, the pictures capture the everyday moments in the lives of a family, but here there is one notable distinction: The people in these pictures are not related. 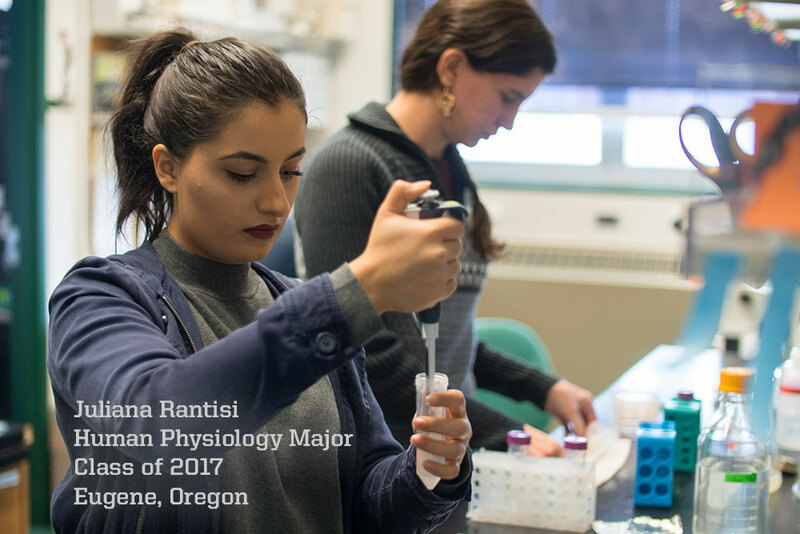 This tight-knit cohort of biology scientists is made up of faculty, research associates, graduate students and undergrads. They come from different backgrounds but share a common bond — the pursuit of discovery and a relentless desire to understand what makes organisms the way that they are. 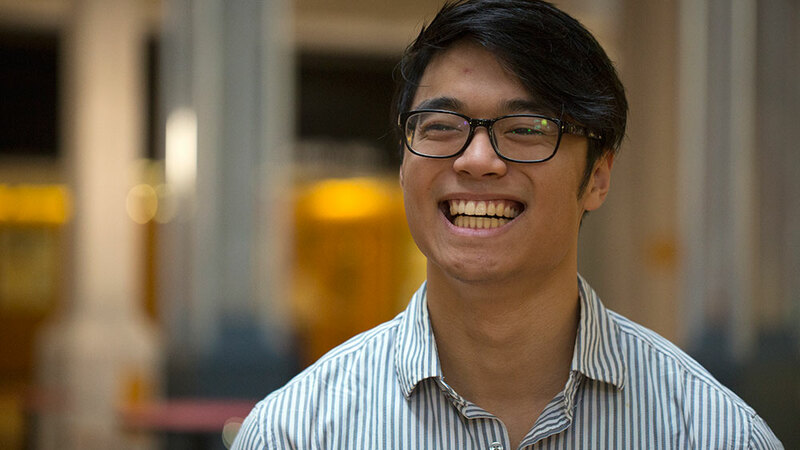 Among the many faces in the pictures is P. Alex de Verteuil, a doctoral candidate currently working to understand the transgenerational effects of stress, particularly the response of dietary stress on children. 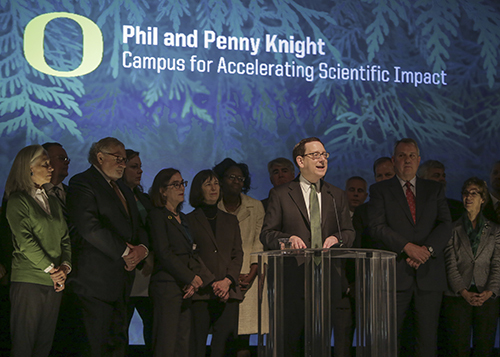 She is working under the direct mentorship of Phillips, who is also the acting executive director of the Phil and Penny Knight Campus for Accelerating Scientific Impact. De Verteuil comes from Miami, Florida, the first in her family to pursue a doctorate degree. She took a special interest in the University of Oregon after previous research opportunities at Barry University and summer internships at Vanderbilt University and the University of Buffalo introduced her to the Zebrafish International Resource Center on the UO campus and the innovative and interdisciplinary research happening in the fields of biology, chemistry, ecology and evolution. 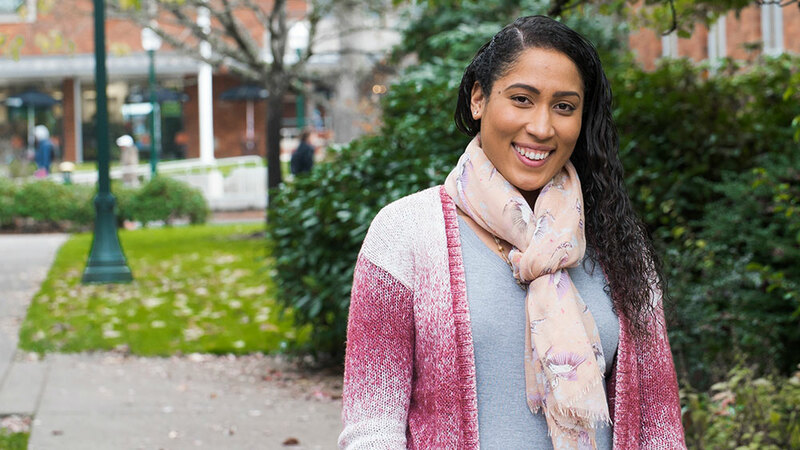 The ethnic and cultural imbalance she experienced was troubling personally, recalling the unique struggle of searching for a suitable place to get a haircut in Eugene, but also professionally as she felt a lack of mentors who shared a similar cultural experience as her. In the face of this adversity a solution was born. With the help of Phillips the two created a mentorship program for undergraduate students of color in the sciences. 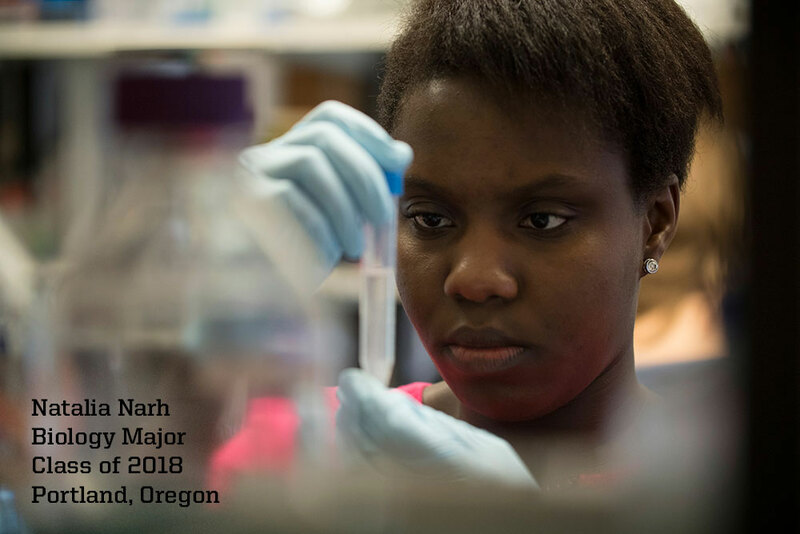 Students of Color Opportunities for Research Enrichment — or SCORE — is now in its second year as an academically based, hands-on research opportunity that aims to enrich the learning environment for underrepresented minorities in the sciences and provide a foot in the laboratory door for those interested in performing basic research. 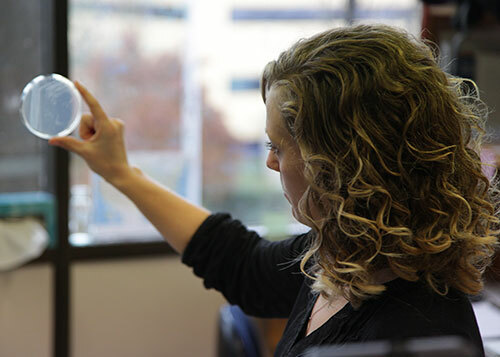 The program operates with support from the Center for Multicultural Academic Excellence. 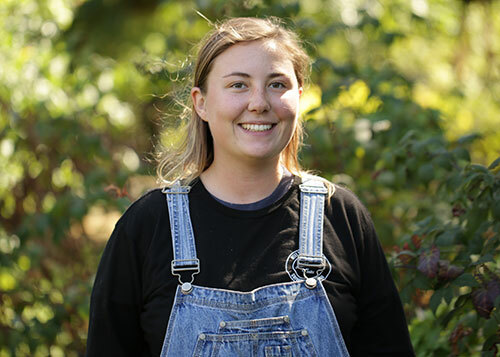 In its first year SCORE enrolled eight students, three of whom now work in labs. Among them is Natalia Narh, a third-year biology student who aspires to be a pediatrician. 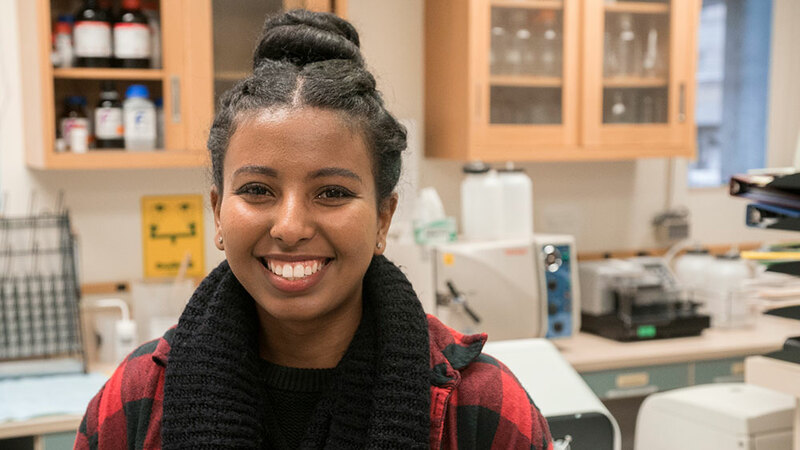 Born in Ghana, Narh joined SCORE out of a desire to expand her academic experience and acknowledges the lack of diversity she finds in the sciences. After two years SCORE has maintained its presence as an intimate and supportive environment for undergraduate students of color to explore research. Despite its humble origins both Phillips and de Verteuil acknowledge that there is more that can be done. “We need to create these programs so that we can transition to a world in which these programs are no longer needed,” Phillips said. "When you generate a community of scholars that embody different cultural experiences and ethnicities, you generate a diversification of thought,” said de Verteuil. If you are interested in joining the SCORE family, visit one of their upcoming meetings. The group gets together on Mondays from 3:30–5:00 p.m. in Huestis Hall Room 130 during the winter term. 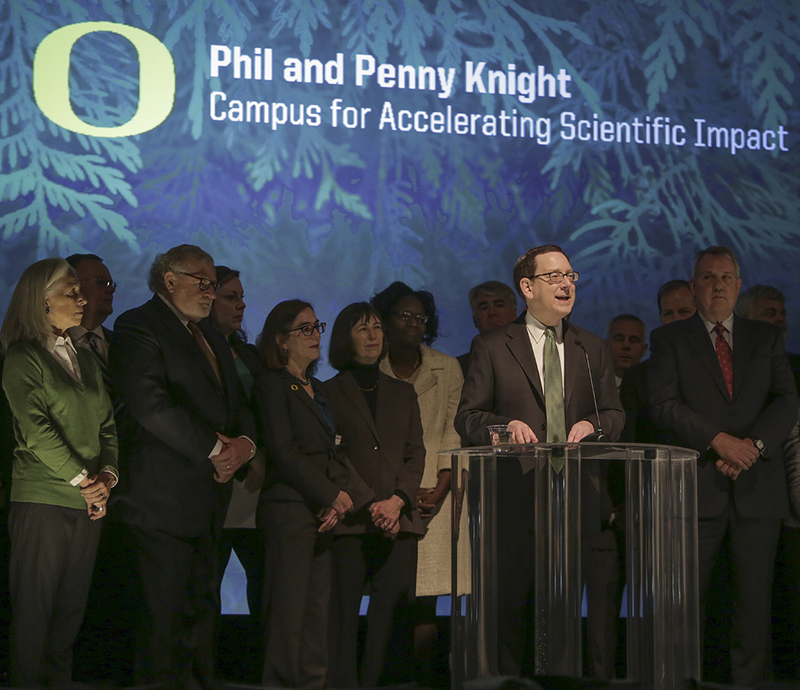 The recently announced Phil and Penny Knight Campus for Accelerating Scientific Impact places the UO on the brink of massive growth and transformation in the sciences. An equivalent expansion of diversity within the research community is on the minds of many here. President Michael Schill is investing in initiatives to attract more underrepresented students, faculty and staff, and to help them thrive in an inclusive and equitable learning environment. 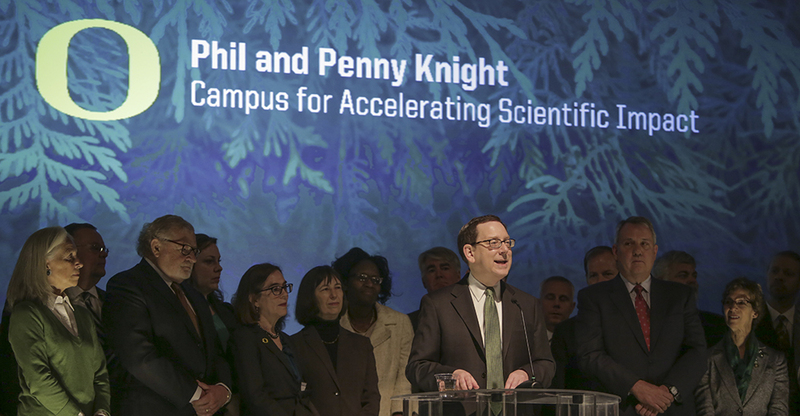 “As we approach making a quantum leap in the sciences, how can we make a quantum leap in diversity of scientists?” asked Patrick Phillips, acting executive director of the Knight Campus.